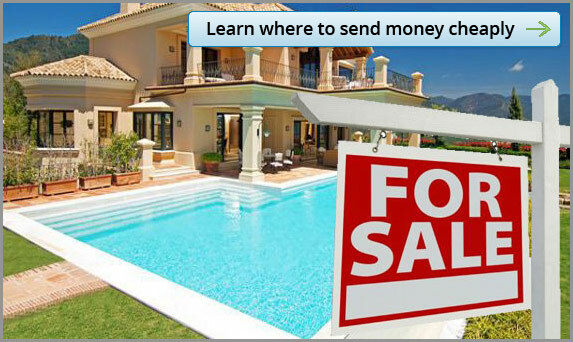 When you send money overseas it’s usually referred to as an international money transfer. In its basic form it’s an electronic transfer of funds between two organisations, maybe a bank, broker or another financial entity. Whilst most people use their bank to send money overseas, it’s often the most expensive option. These days there are a huge selection of specialist currency services which will send your money, securely, with no commission. In addition, many can offer you a better exchange rate due to them being directly active in the foreign exchange market. As an example maybe you need to send some money to Spain as part of a property deposit. Sending the money with your bank seems to be expensive, especially as the amount is over 20,000 euros. You decide to try a specialist currency transfer service, because you’ve found one that offers zero commission to send anywhere around the world. Luckily these types of services will give you a completely free quote within minutes (they really want your business) and you find that not only do they not charge a fee, but they also beat your banks exchange rate! Because these companies are not huge like your bank, you’re almost always going to get an excellent personal service. Often when you submit your quote online, a dealer, who actually makes the transaction in the currency market for you, calls to discuss the transfer. If you’re sending money abroad regular they can advise you on the best times to transfer, so that you take advantage of the movements of currency markets. These services deal in the currency market every day, and know what they are talking about. Getting set up is relatively easy. Once they have your details, an account is opened, you make a deposit. This money can then be sent to whichever destination you specify. How Do They Give Me The Best Exchange Rate? Currency services have direct access to the Forex interbank, which has huge liquidity. It’s widely said that the Foreign Exchange market is 10 times the size of the stock market, and trillions are transacted each day in hundreds of countries. They can offer you a real time rate, and some services buy currency in bulk when rates are heavily in their favour. Because they do not charge a commission, you may wonder how they make money? After all, they are a business. They add what is referred to as a “spread” to the rate they quote. As a quick example, let’s say the current interbank rate for GBPEUR is 1.245. They can simply add 0.05 to the quote, and they would make 100 on your transfer of 20,000. Compare that with your bank, and you can bet it looks super cheap! Are International Money Transfers Secure? Yes, they are very secure. But you do need to check that the service you choose is regulated by the Financial Conduct Authority, or another registered Government body (if you are not based in the UK). For the most part, the big companies will be fully regulated, have good feedback with services such as TrustPilot. You should check whether the service is a member of the Financial Services Compensation Scheme. If they are, you have some cover if something goes wrong.